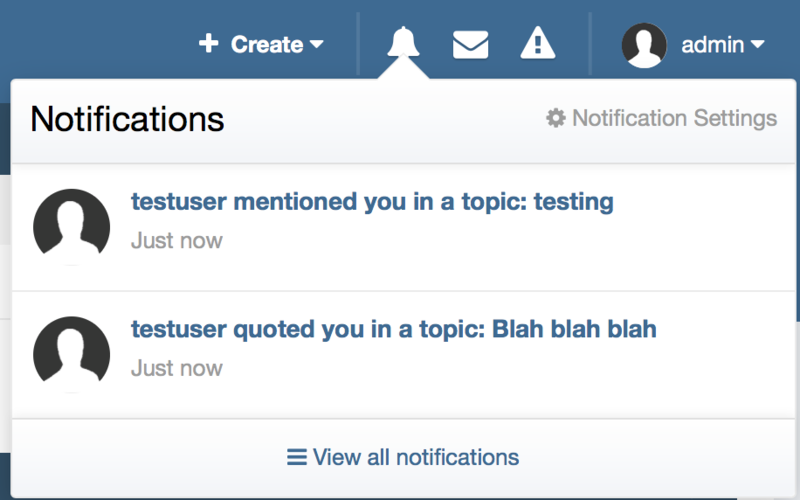 Notifications are a great way for your users to be notified when things happen around your community. This may be that a user has been quoted, someone has mentioned them in a post, someone has commented on a photo and more. When a member signs up to your community, they will have default settings for notifications based on what you set up within your admin cp. If you visit Notifications you will be presented with the following screen. From here you can set default notifications when a member signs up, along with what type of notification they will receive and whether or not they can edit the setting themselves on the front end. Clicking on the "Notification Settings" button at the top, you will also be given the ability to set limitations as to how long these will be stored, along with defaults for new users. This may be important in large communities to ensure there are not large volumes of un-required notifications being sent out. On the front end, your members will see notifications based on the criteria either by default, or in which they have set up for themselves. Clicking on the notification icon will show the notification list as below. From here you can view all of your notifications, change your notification settings, and subscribe to then using the RSS feed should you wish to do so. 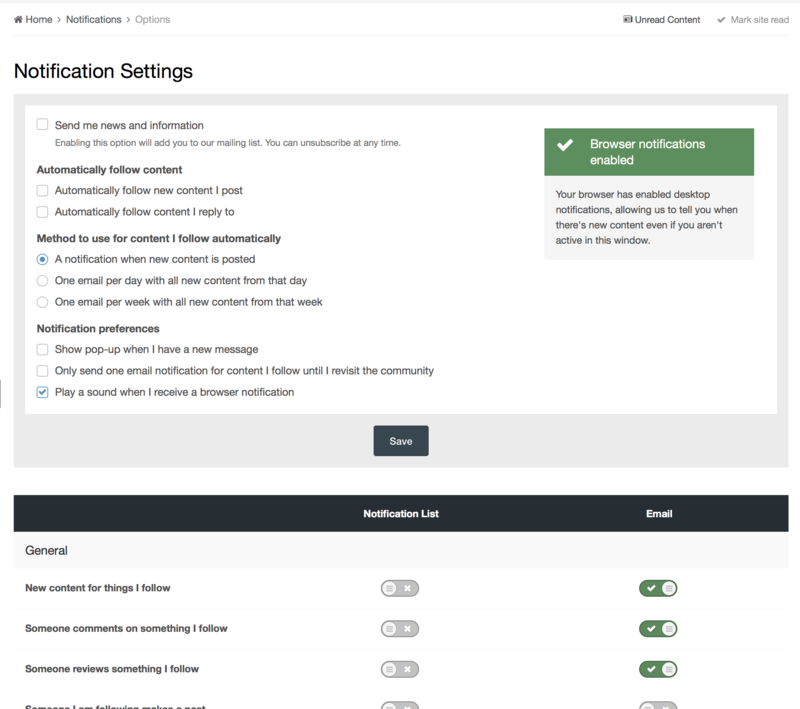 Selecting notification settings will allow the member to set up their own options for what they are notified for. Any items which are not allowed to be changed will be greyed out. You will also note here that it states "Browser notifications enabled". Most modern browsers will allow for notifications which will be used if this is available. This is useful if a member is querying about receiving notification emails.